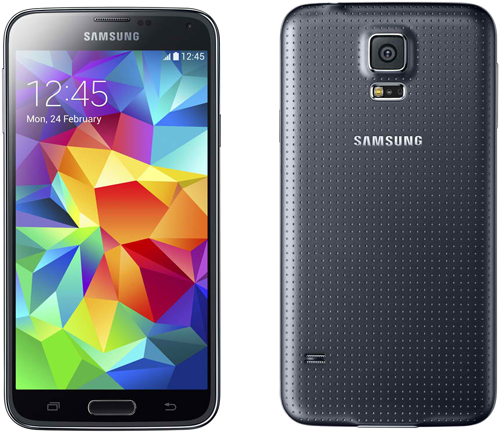 In this post, you will be guided on how to change Samsung Galaxy S5's language, time and date. 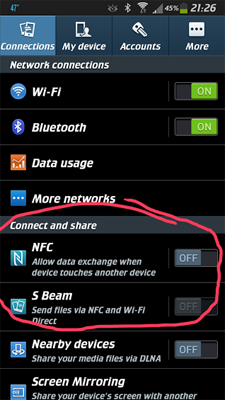 Tap Settings and scroll down to SYSTEM section. 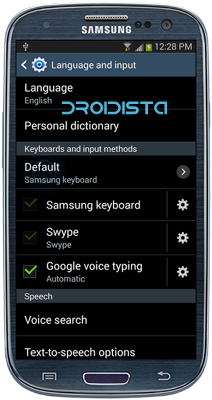 Tap Language and choose your preferred language. If you want the phone to automatically set the time according to your time zone, tap Automatic time zone to tick the checkbox beside it. Tap Automatic date and time to tick the checkbox. If you want to manually set the time and the date, un-tick Automatic date and time so you can tap both 'Set date' and 'Set time' options. "Unfortunately, Play Store has stopped." "Unfortunately, Google Search has stopped." 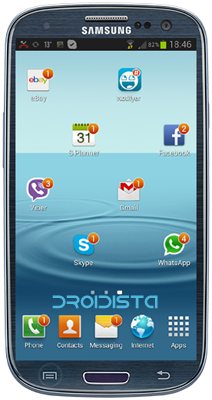 Does your Samsung Galaxy S3 say you have unread messages or missed calls? Are you seeing negative 1 (-1) notification on your Messaging app icon? Or, does the voicemail icon say you have unheard voice messages? All these false notifications are not really serious problems with the phone, they're just so annoying because you will be fooled every time. False notifications are actually common in Android and they started during the Gingerbread times. The fact is, a few days after the Samsung Galaxy S3 was released in 2012, many owners were already asking on how to get rid of negative or unread messages. 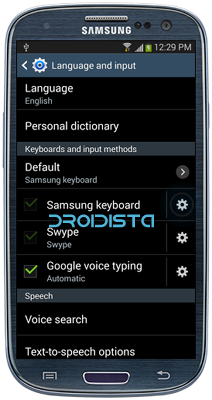 Does your Samsung Galaxy S3 replace every word you type after you updated it to Android 4.3? Don't worry, there's a solution for that. Basically, it's not a problem with the phone, it's actually a feature built to help people make it easier and faster to type words, that is if you're typing the entire word when you text. If you're not, then it is very annoying. In case you haven't been experiencing this problem before the 4.3 update, it could be that the option was disabled. This post is not about fixing the issue because it's no problem at all. Rather, it is about how to disable the feature back. Many Galaxy S3 owners reported that after they updated their phone to Android 4.3, they can no longer access the clipboard because either it's going to crash or it will trigger a reboot, or both. The latter is rampant, although there were also who reported having to experience freezes before the actual reboot caused by the Clipboard. 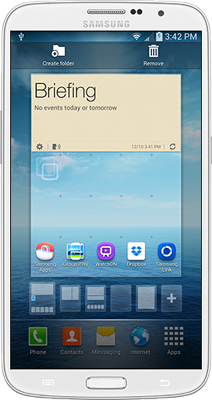 One of our customers in the shop today was a Galaxy S3 owner who was experiencing some lags when using the Samsung Keyboard. According to her the problem started in December when she updated her phone to Android 4.3 Jelly Bean. She thought it would be gone but she was wrong. This proves that problems like this should be addressed as soon as they manifest or they will bug you every day. I wanted to see the problem myself, so with her sitting beside me, I tried texting and the keyboard froze for about 4 seconds and there were delays when typing. At first, the Messaging app was my prime suspect, so I launched the Email app and wrote a dummy email just to use the keyboard; it didn't freeze but there was still delays. I did the same with the Gmail app. I even tried searching for games in the Play Store and the delays were still present. This time I knew it was a keyboard problem. The Samsung Galaxy S3 stock Messaging app is one of many apps that started to crash after the phone was updated to Android 4.3 Jelly Bean. There are, however, a few variations of the problem. The most common is also the most obvious--an error message that says "Unfortunately, Messaging has stopped" pops up on screen and you have no other choice that to tap "OK."
Other owners who reportedly encountered problems with the Messaging app after the 4.3 update said that it sometimes lags or freezes and occasionally just quit working and you will be redirected to the Home screen for no apparent reason. 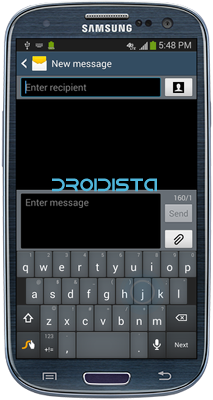 There were also others who reported to have experienced Messaging crashes once they started typing their message. If you are a Samsung Galaxy S3 owner, you must be wondering when the Android 4.4 KitKat update roll out will be. While we've heard a lot of speculations about the most anticipated update lately, the most recent tip came from Samsung Mobile Arabia Facebook page. 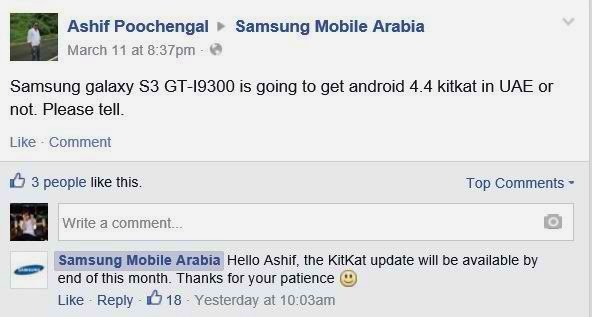 It didn't actually come as an official announcement but as an answer to the question posted by one FB user and I quote "...the KitKat update will be available by end of this month. Thanks for your patience." 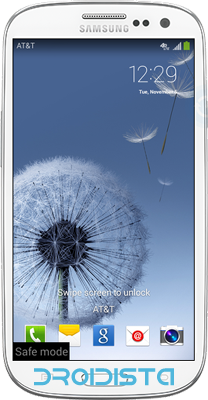 The Samsung Galaxy S3 received the Android 4.3 update late last year and millions of owners were anticipating it because the manufacturer didn't release the supposed 4.2 update. The anticipation turned to frustration when owners were plagued with all sorts of problems after the update. Poor performance issues were among the most common. 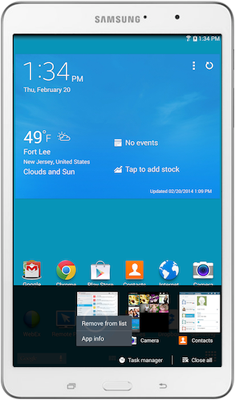 If your Samsung Galaxy Tab Pro 8.4 is suffering from performance issues like slowing downs, freezes and hangings there is a big possibility that a lot of applications are running in the background eating up your tablet's RAM. The most common action to undertake is to close those apps and you can only do that by pulling up the Task Manager. 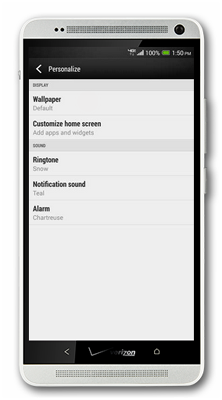 Here is a very simple tutorial on how to quickly change the wallpaper on your HTC One Max phone. 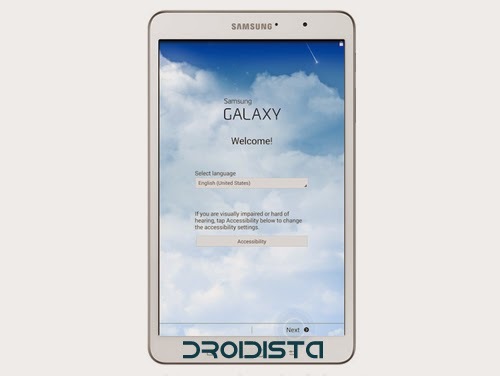 Display the Recent Applications screen on your Samsung Galaxy Tab Pro 8.4 will enable you to view any application's information and remove any app from the list of recently used apps. Android does not automatically close an app when you hit the Home button or run another. 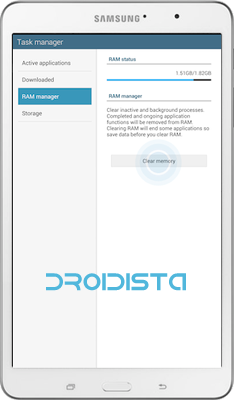 Instead, the app continues to run in the background using portion of your precious RAM. The first time you turn on your Samsung Galaxy Tab Pro 8.4, you are required to set it up to your preferences. 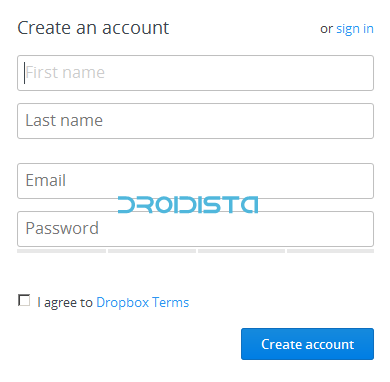 During the process, you will select your language, sign in to your Google and Samsung Accounts, connect your Dropbox account, setup your preferred name for the tablet, etc. 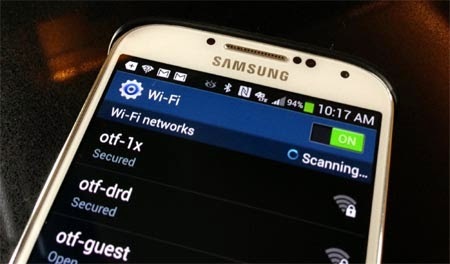 A woman with a Samsung Galaxy S4 enters the shop today complaining she cannot finish downloading a file from the internet because every time the screen turns off, her Wi-Fi will also get cut off. She asked if it's a normal operation of the phone. I said yes, of course, because it is. 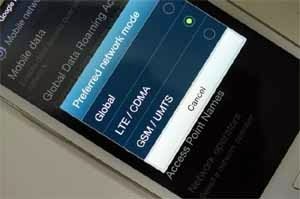 However, there is an easy way to keep Wi-Fi connection going even if the phone goes to sleep. She was delighted upon hearing it and was excited to her problem resolved. There's an option that says "Keep Wi-Fi on during sleep," choose "Always." I tried downloading something off the net and waited until the screen turned off. I woke it up and found out the download was interrupted and the phone was re-connecting to the network. Usually, this problem never happens. I've tried it with other devices a lot of times but it was the first time I experienced it. I rebooted the phone, downloaded the file and waited for the S4 to fall asleep. When I woke it up, this time the Wi-Fi stayed connected. Basically, there are times when you really need to reboot the phone so new settings will take effect. If the reboot didn't work, the next thing I would have done was to disable Wi-Fi power saving mode. 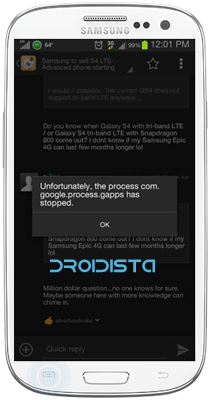 Galaxy S3 Problem: "Unfortunately, Messaging has stopped"
This is the error message our customer was getting. I asked him about significant events that could have led to this issue but he said all he did was update his phone to Android 4.3 Jelly Bean. It makes sense. After the 4.3 update, many Galaxy S3 owners were complaining about this same problem. But I knew the problem wasn't something big, it was a minor glitch on the stock Messaging app and can be fixed by a simple housekeeping. If the issue persisted after what I did, I could have gone as far as Factory Reset after I cleared the cache partition. Thank God I didn't have to go through that and the customer was happy. Easy money.